Discover the magic of the Pyrenees at Saint-Lary, where mountain pastures, peaks, lakes and footpaths open up new horizons. Amid wide open unspoilt spaces, Saint-Lary has a wealth of riches waiting to be discovered. 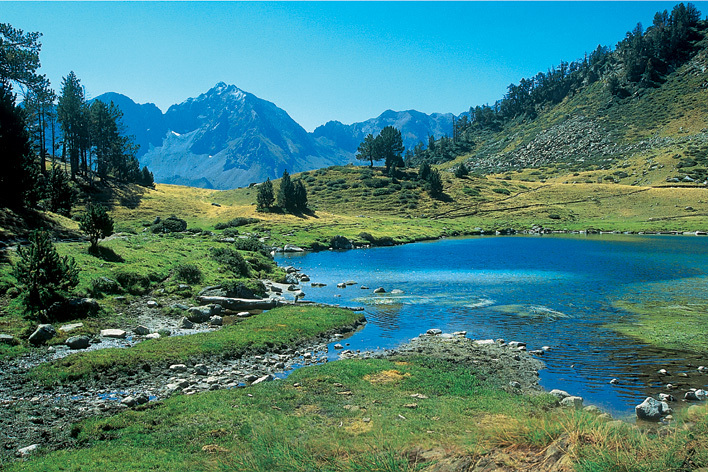 The natural heritage of the Pyrenees National Park includes unique flora and fauna, and the valley has fantastic landscapes created by unique geology, peaks, lakes and waterfalls. As well as this natural beauty, humans and history have left their mark on places of interest that have survived the ravages of time. Each village and hamlet hides a jewel, maybe a chapel, an altarpiece or an old mill. In any case, you can’t talk about the Vallée d’Aure and its area without mentioning its gastronomic heritage and local delicacies. Guest house with a unique panoramic view. Quiet and authentic. Sauna and Hammam. GR10. Seasonal Family style cooking. 3 guest rooms with matching decoration, in a still active mountain farm. Stunning view of Aure Valley and surrounding heights. Charming hotel, B&B atmosphere, quiet, facing thermal spa. Free access to outdoor swimming pool, Wi-Fi, parking and bikes equipment storage.